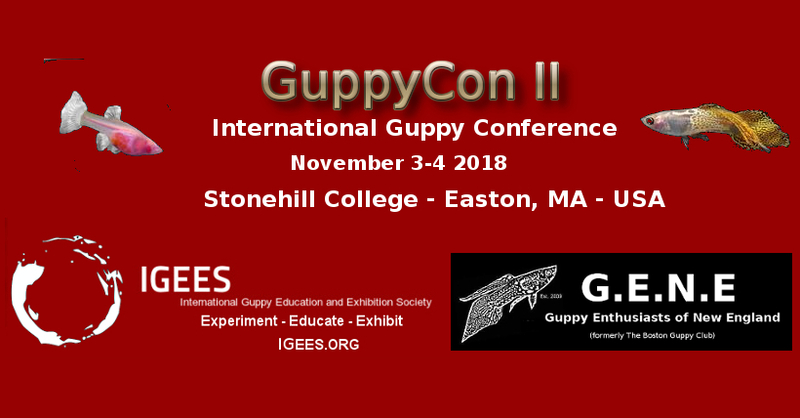 Guppy Enthusiasts of New England and the International Guppy Education and Exhibition Society will be presenting an International Guppy Conference & Charity Fund Raiser sponsored by and held at Stonehill College the first weekend in November 3rd & 4th. 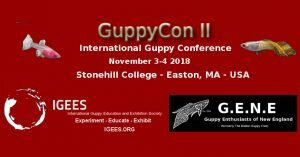 Unlike typical aquarium hobby conventions ALL EVENTS AT GUPPYCON II WILL BE FREE AND OPEN TO THE PUBLIC! Plus Presentations on Aquatic Research being conducted at Boston Area Colleges and Universities. Sunday: All day – All Species – Tropical Fish Auction to benefit Stonehill Student Research Projects. Auction Split 50/50 between sellers and Stonehill Student Research. Donations will be greatly appreciated. Auction Rules to be published shortly.